Brake calipers work with the brake pads and discs to create the friction needed to stop your car. For better control of your vehicle, replace worn brake calipers and save money with high-quality units from Car Parts 4 Less. Brake calipers play a vital role in your ability to slow or stop your car at speed. Each caliper works by applying pressure to the brake pads when you push down on your pedal. This forces the pads against the disc. This in turn creates the high level of resistance needed to slow your wheels down. Brake calipers tend to wear over time through general use. Low-quality calipers will wear must faster than normal. Symptoms of worn calipers include squealing sounds and jerking sensations when braking. While every type of brake caliper performs the same function, they are not all identical. Fortunately, Car Parts 4 Less makes it easy to find the right parts for your car. 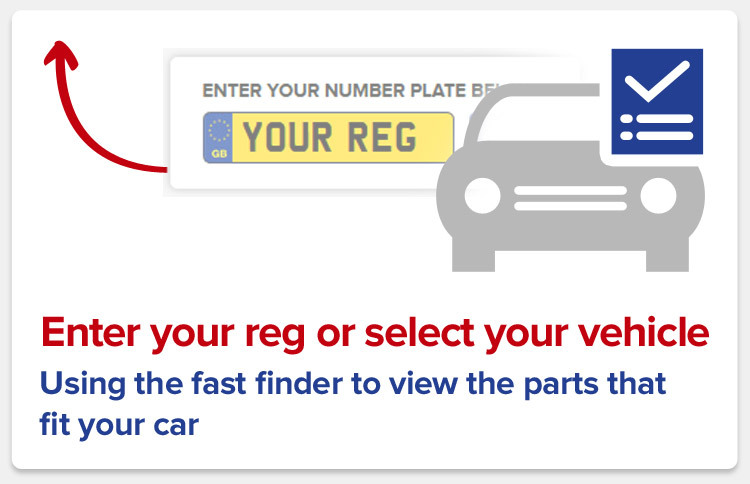 Simply type in your registration number in the box labelled “YOUR REG”. Choose from the list and buy now for huge savings on the best products.